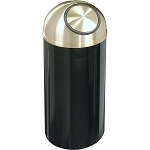 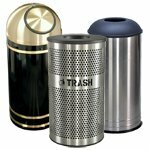 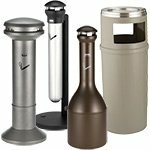 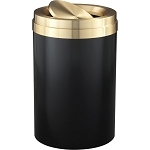 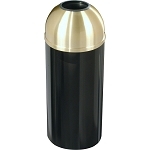 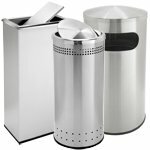 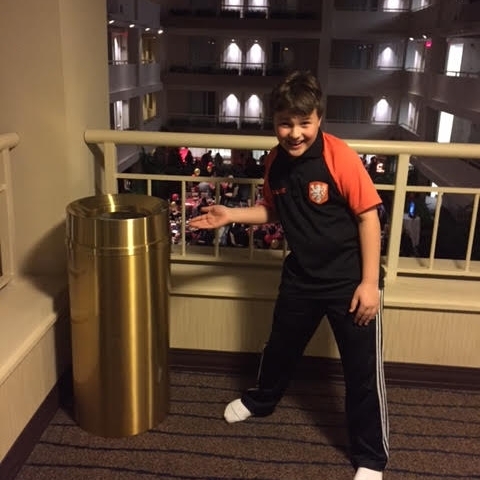 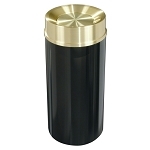 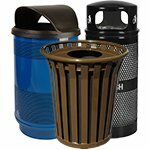 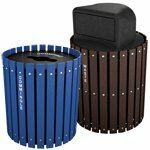 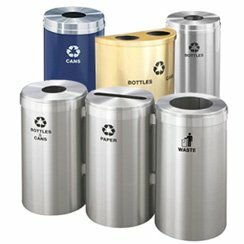 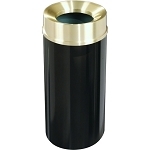 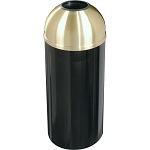 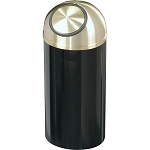 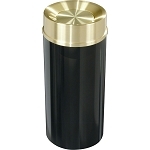 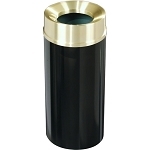 All-metal, fire-safe waste receptacle finely crafted in the U.S.A.
Acheive an upscale look without paying an upscale price. 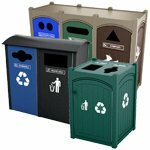 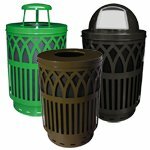 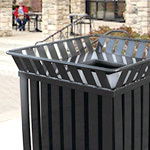 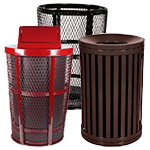 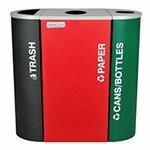 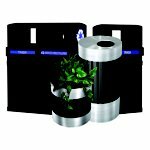 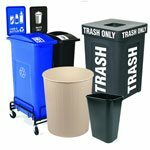 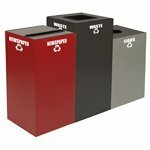 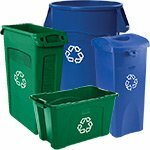 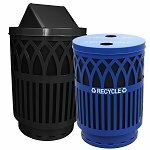 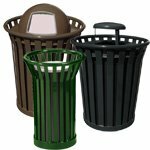 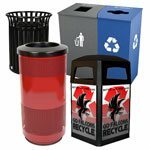 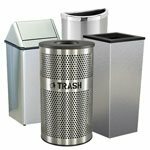 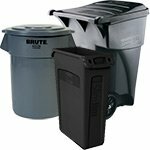 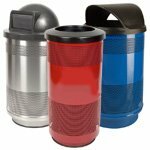 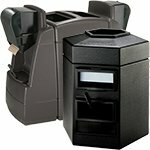 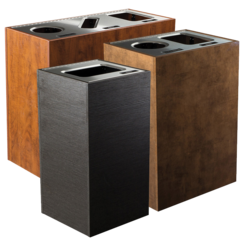 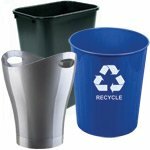 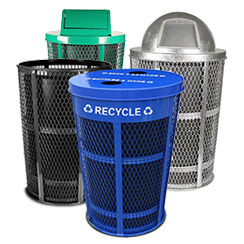 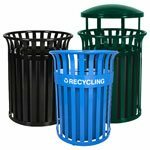 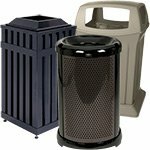 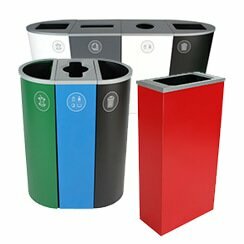 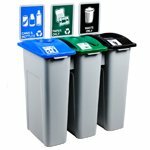 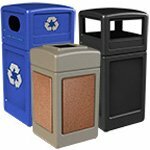 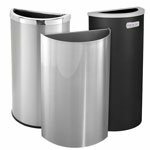 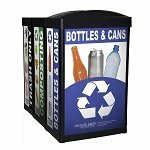 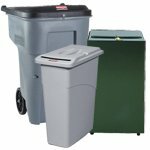 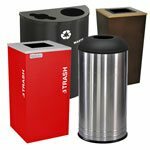 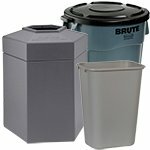 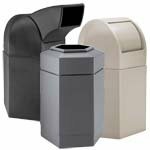 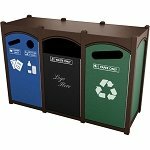 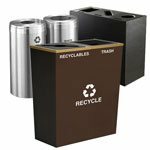 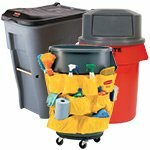 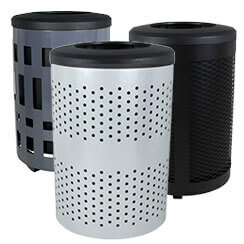 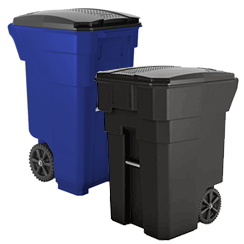 The WasteMaster Series waste receptacles have been designed with both appearance and cost in mind. 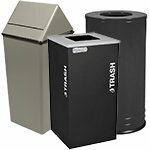 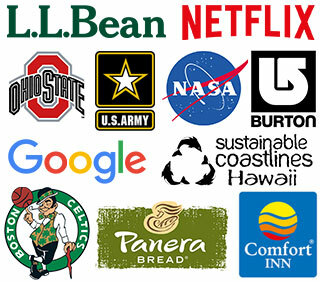 Waste receptacle covers have an extra wide lip to conceal the poly bag liner, which is fitted over the body for a neat professional appearance. 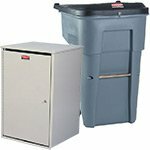 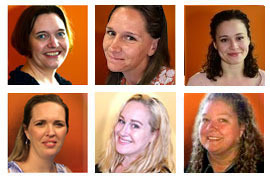 This style reduces both the shipping weight and the cost. 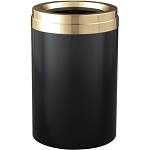 This containers comes with a simple and inexpensive open funnel lid. 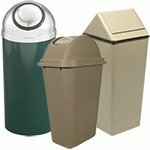 For other lid and size options visit The WasteMaster Series. 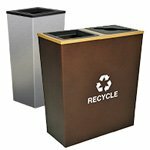 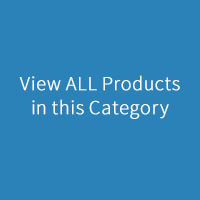 Choose from 29 attractive smooth and textured finishes. 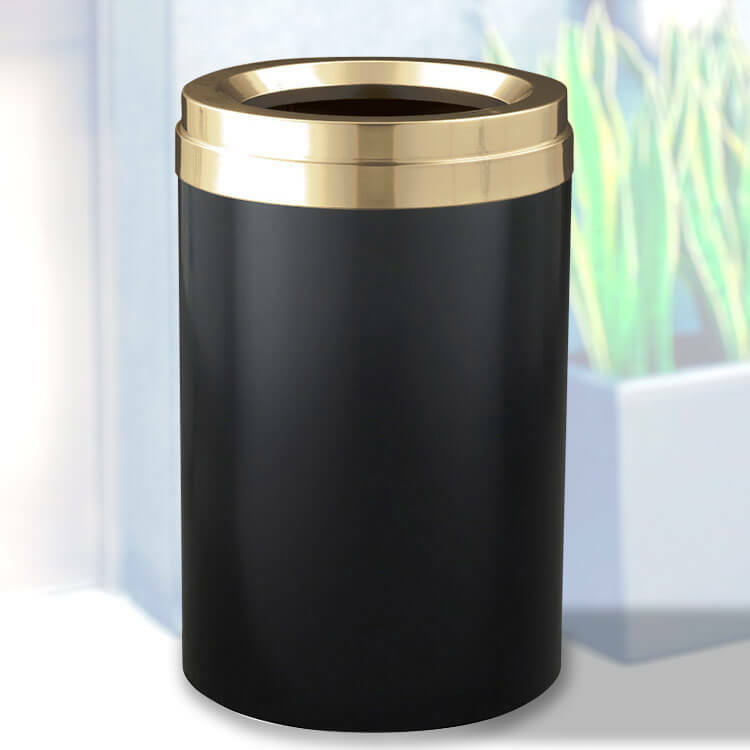 All finishes are a high temperature baked powder coat, so you never need to worry about scratching or chipping. 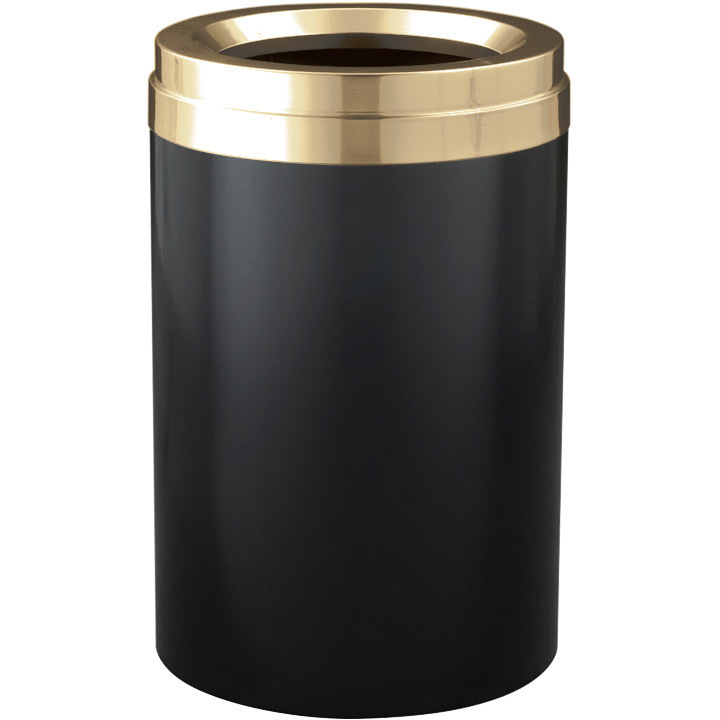 All lids are made with heavy gauge hand spun and hand polished aluminum. 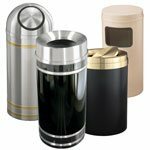 Finish your lid with satin aluminum, high-gloss chrome and brass, or body-matching colors. 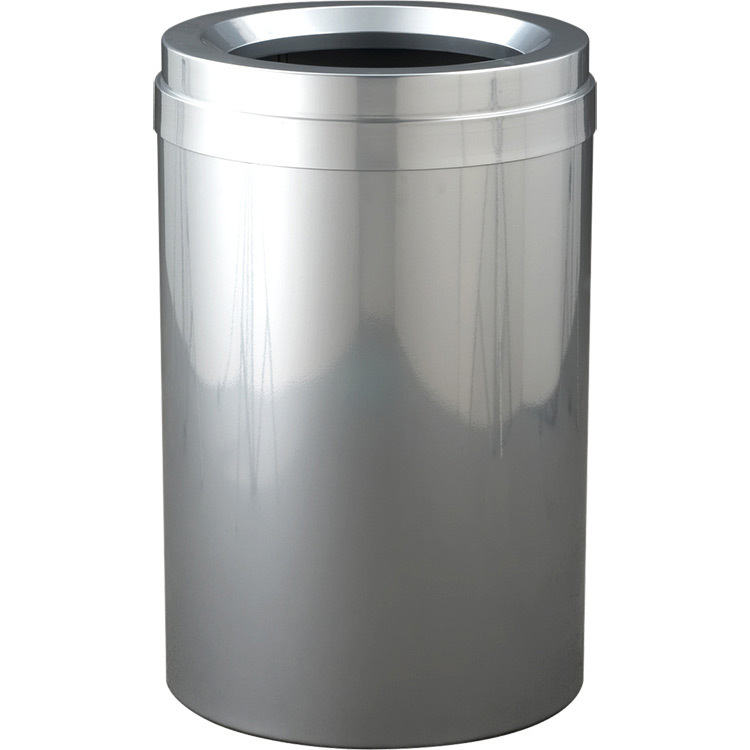 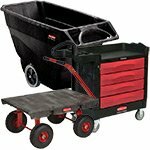 Bodies are constructed with heavy gauge galvanized solid steel with a non-corrosive aluminum bottom for added protection.